Jillboard Top 10 of ’10! MASSIVE THANK YOU to everyone who reads this blog. In just 6 short months, my viewership went from my parents to tens of thousands per month. I’d never be able to pinpoint why you enjoy this site, but by all means keep enjoying! Looking forward to an even greater year in 2011 with super duper interviews, concert reviews, events, and most importantly, more Top 100 playlists! HAPPY NEW YEAR! See you on the flip side. 1. “Club Can’t Handle Me (Feat. David Guetta)” – Flo Rida. Some may say this song was overplayed, and it may have been, but for some reason I never once got sick of it. It says something about a song when you can hear it a million times and not get sick of it. My favorite instrumental of the year (D. Guetta is the ish), favorite party song of the year, and just an all around incredible pop song. 2. “Firework” – Katy Perry. I’ve loved this song for AWHILE. When I saw the music video, I was thoroughly inspired and loved every millisecond of the very meaningful video. This song always picks me up when I’m down. Inspirational song of the year! 3. “Happiness” – Alexis Jordan. The title of this song is pretty self-explanatory. Nothing makes me feel happier than listening to this song, especially because it reminds me of summer. Alexis Jordan is a newcomer but definitely hopped on the scene with a massive bang. Looking forward to more impressive tunes in 2011. 4. “Only Girl (In The World)” – Rihanna. For some reason, every time I hear this song I feel it is necessary to pump my fist and pump it hard. LOVE LOVE LOVE this song. I strongly disliked Rihanna this past year until I heard this song. She’s back! And she’s a ginger! 5. “So What?” – Far East Movement. This song is AMAZING to listen to loud. The bass and the electro-ish instrumental is crazy. Screw lyrical content, THIS MAH JAM. 6. “Alors on Danse (Feat. Kanye West & Gilbere Forte)” – Stromae. Super fun party song. I’ve been listening to this one for awhile, but I’m still not sick of it and I see no signs of slowing. There’s something awesome to me about a techno/electro track mixed with the sounds of trumpets. I loved it in “Calabria”, and I love it even more in this song. Weird combos are good combos. Stromae made a KILLER instrumental, and Kanye threw some fun lyrics over it. Super duper. 7. “E.T.” – Katy Perry. I didn’t expect such a cool, almost dubsteppy track from Katy Perry. Katy Perry + dubstep = Jill being very happy. I always feel compelled to belt this song when I hear it. Judge me. Katy was my fave artist this year, so naturally she has two songs in the Top 10. 8. “Hell Of A Life” – Kanye West. This track is my absolute favorite off Kanye’s new album. Not only is the beat CRAZY, but the lyrics are pretty LOL-worthy, whether that was his intention or not. Kanye definitely should check into the LOLdorf Astoria. 9. “Space” – M.I.A. Many are saying that M.I.A had a bad year. Did I like the ginger genocide video? Not especially. Did I see her live and buy her new album? Yes. This song has a fabulous, innovative instrumental to it. Again, screw lyrical content with this one, I’ll choose this over a love song any day. It makes you feel like you’re on drugs…I mean that in the best way possible. 10. “Your Love” – Nicki Minaj. Today, I may hit skip when this song comes on shuffle. However, this was my favorite song for a looong time. I loved Nicki’s verses on other artists’ songs, but when I heard her on her own, nonetheless over a sampled Annie Lennox track…Oh man. Love her. I think it’s safe to say Nicki Minaj had the best year. Jillboard INDIE Top 20 of ’10! Here’s Jillboard Top 100’s Top 20 of ’10 Indie chart! Explanations below. 1. “Government Name” – Alex Young. Well, OBVIOUSLY this is my number 1! This song was extremely important to me this year, because it was the first song/first artist I got to work with. Getting to intern for Anaka Records this past year was an amazing experience, I couldn’t have asked for better people or a better artist to work with. I got an incredible amount of industry exposure, had a blast, made connections, and more importantly made great friendships. So, not only is this song by Alex Young close to my heart, but it’s also an AWESOME pop/dance song! I would have loved it regardless. Also…I’m in the music video! There’s a first time for everything. 2010 definitely was a “1st time for everything” kind of year for me. Make sure you keep both eyes out for Alex Young in 2011, we have BIG. THINGS. COMING. 2. “In The Dark” – JoJo. I had no interest AT ALL in JoJo until she released her mixtape this eyar, Can’t Take That Away From Me. Not only is it a more adult sound for her, but it’s an amazing sound for her. She really showcased her vocal talent and was backed by some crazy tracks. The production on this song makes me drool. Such a great song. Good to see JoJo coming into her own. 3. “Worry About You (Xaphoon Jones Remix)” – 2AM Club. 1st of all, my mom likes this song, so I don’t know if that makes it less cool, but it’s definitely still COOL. 2AM Club’s first single, “Worry About You”, was good on its own, but mixed with the sick sounds of Chiddy Bang’s producer, Xaphoon Jones, this song is way up there for me. Favorite song to listen to in the car, hands down. 4. “Bass Down Low (Feat. The Cataracs)” – Dev. Speaking of favorite songs to listen to in the car…This bass heavy banger is a major WIN for Dev. Dev and The Cataracs are two of the coolest people/groups to look out for in 2011. Cool is really the only word to describe Dev, she’s just SO… cool. This song (besides being awesome) has a pretty cool video too. Love it, love it, LOVE IT! 5. “Kids” – Sleigh Bells. Sleigh Bells are by far the most interesting and innovative group I’ve heard in 2010. The heavy guitar-rock, electronic beats, and melodic vocals are a killer combo that’s DEFINITELY working for this dynamic duo. I’ve had their album on repeat for months, so I’m definitely looking forward to hearing new stuff from them in 2011. M.I.A definitely knows how to pick her winners. 6. “Sunshine (Feat. M.I.A)”- Rye Rye. Rye Rye, another M.I.A pick, is an innovative rapper with African influence in her dancing and beat-making. Once I saw her sample “Party In The USA” live, it was all over. She’s in my Top 3 fave female MC’s. Look for her upcoming album in early ’11, which WILL be incredible. 7. “Big N Bad” – Kid Sister. Here’s another girl in my Top 3 fave female MC’s. Kid Sister’s got an in-control, fun flow and some great beats behind her. She’s badass. 8. “Live It Up” – Deepside Deejays. Love the contrast on this song. Deepside Deejays pulled together some crazy production, mixing acoustic guitars and heavy, electronic, raving beats. Interesting and impressive. 9. “Kardashian” – The Dean’s List. Even though I looove the Kardashians, this song has NOTHING to do with them. It’s just a super chill hip-hop song from one of my favorite college-circuit groups out there. 10. “Scratch” – BG5. Honestly, I thought this song was gonna be stupid when I found out Miley’s ex-BFF, Mandy, was behind it. However, I fell in love with this upbeat dance song upon first listen – before I heard that Kris Jenner was co-managing them (which only made me like it more). Bring back the girl groups! 11. “Go Ape (Masterkidz Dirty House Remix)” – Far East Movement. OH MY GOD. I love this song. Serious bass, serious electro-raving madness. Masterkidz kicked Far East Movement’s ASSES with this crazy remix. Grand slam! 12. “Say Something (Feat. Jackie Boy)” – H*Wood. I love this remix! Jackie Boy & H*Wood kicked some serious patootey with this great acoustic track. Love the harmonies. 13. “The Big Bang” – Rock Mafia. Rock Mafia are producers that work with Miley Cyrus (“Can’t Be Tamed”), and they had a big year to say the least. Though there are literally NO pictures or information about them on the Internet, they pulled off a hit with this beyond catchy Maroon 5-ish tune. This song also had a hot video with Miley being a little slutty in it….what. I love her. 14. “Gonna Be OK” – Sam Adams. This was a super catchy club-banger off Sam Adams’ 2010 mixtape, Party Records. Not only do I love this song, but this is another song that is close to my heart because I had the opportunity to interview and meet Sam this year. Definitely one of my/Jillboard’s highlights of 2010! 15. “Stereo Hands” – The White Panda. Fantastic mashup of the smash hit “Stereo Love” and Wacka Flock Flame’s “No Hands”. Together, a masterpiece. The White Panda is currently holding the tiara for Jillboard’s fave mashup artists. 16. “Pimps and Hoes” – Rock Mafia. Another killer track from Rock Mafia. This raving dance track takes me back to summer. I want to go back. I loathe the cold. 17. “Take Over Control (Feat. Eva Simons) (Ian Carey Remix)” – Afrojack. Favorite electronic dance song of the year. Hott combo of Eva Simons’ vocals and Afrojack’s crazy beats. 18. “Graduation Song (Feat. Wynter Gordon)” – Kinetics & One Love. Another highlight of Jillboard’s past year – I interviewed Kinetics & One Love this year. These guys had the year of their lives after having a #1 hit on Billboard (they wrote “Airplanes” by B.o.B & Hayley Williams) and getting to collab with artists like Wynter Gordon. These guys are doing big things! Oh, and this song is awesome. Clever lyrics and catchy chorus. 19. “Summertime” – Mouth’s Cradle. Very innovative song. Mouth’s Cradle took “Hey Soul Sister”, chopped it up, added some 8-bit influence, and rapped over it. Acoustic guitar and 8-bit hip-hop? I’ll take it. 20. “One More Day” – The ERAera. Upcoming artists who just broke the surface in 2010. Extremely catchy song, and they are very talented musicians. Hopefully they’ll make a bang in 2011. Here’s a breakout single for aspiring singer/songwriter, Lauren Vogel. Lauren is an Indiana University student with a passion for music. I can seriously see this song going viral because it’s SO catchy and commercial. That’s a very good thing! It’s an extremely melodic dance song that sounds like mid-2000’s Britney + Kylie Minogue meets 2010 heavy club beats. That was a mouthful.. Basically what I’m trying to get at, is it’s super poppy and fun. DJ O made a great track, and Brice Fox has a nice rap verse on it, but really it’s Lauren Vogel’s vocals that make the song so much fun. Put this on your New Year’s Eve playlist! 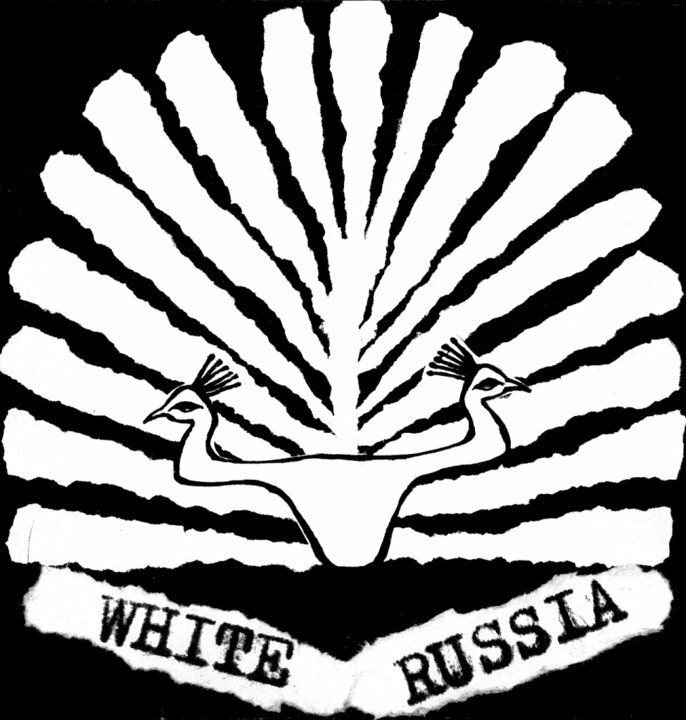 I got the tip off to post about this new alternative/electronic duo, White Russia. Out of Southern-London, the soft and smooth voice of Marina Elderton mixed with Benjamin Bufton’s heavy electronic beats are a force to be reckoned with. This song, “Charmless State”, is my favorite that I’ve heard by them. It starts off on the slower side, but make sure you crank the bass around the 1:40 mark. It goes from smooth alternative song to banger in a matter of seconds. Definitely one for all you electronic fans. And if you’re a pop music fan, and are frustrated by all the electronic music I’ve been posting lately, please keep in mind that all the huge pop artists are on vacation right now celebrating their wealth, while indie acts continue to push and shove through the new year. So, enjoy! 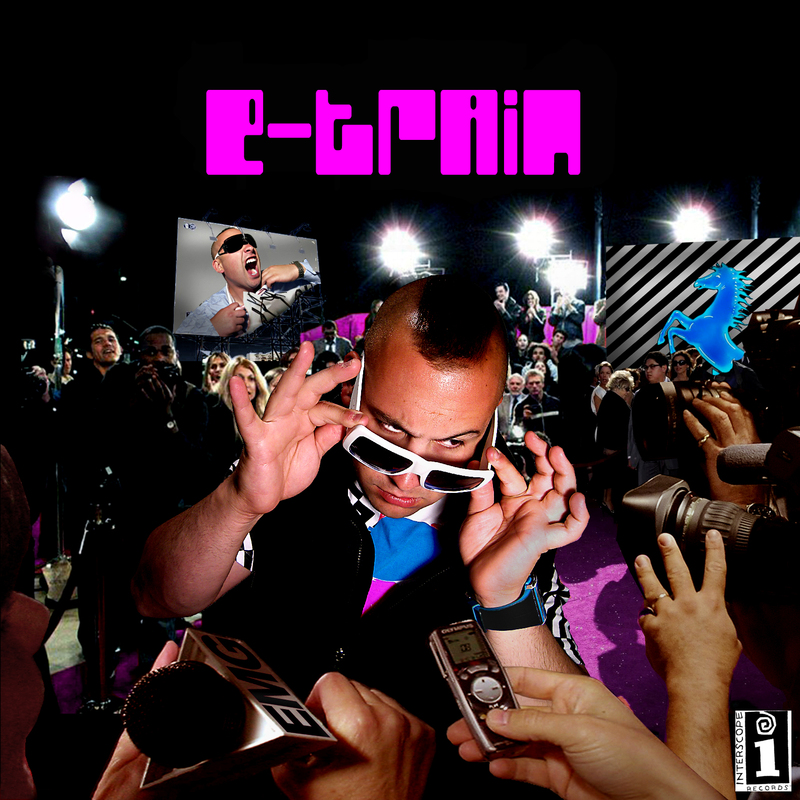 You may know E-TRAIN from his last single I posted, “Glow So Hard From Space”. This new one is an awesome dubstep/electronic remix by Noya of E-Train’s newest track, “Lonely At The Top”. Same smooth, Cudi-like flow from E-TRAIN but has an incredible beat behind it – great contrast. Definitely worth checking this one out. Around the 2:59 mark, ear-nom techno sounds come in and it’s just…super. Love it! DJ Earworm just released his 2010 mashup of the Top 25 Billboard hits of ’10. It’s pretty cool, especially the video, and it’s fun to sit and reminisce about the year while watching the video. However, in my opinion, this annual mashup is NO MATCH for DJ Earworm’s 2009 mash, which was thoroughly epic. I can still sing the 2009 one all the way through, and I’m not sure I’ll be able to do the same with 2010. This year’s is a little overstimulating for me, I feel like there’s too much to listen to. But at the same time there’s a lot of really cool parts in it. Be your own judge and take a look/listen to “United States of Pop 2010”.